This year, I started a new Christmas tradition with the girls. I’m thinking it’s a keeper. Normally, I box up our holiday books in January and haul them out at the end of November. 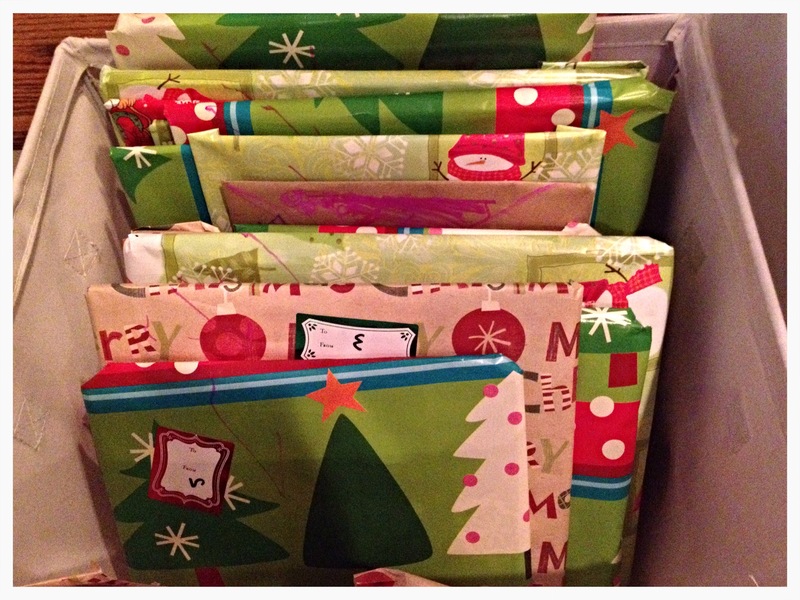 This year, instead of the ushe – putting them in a bin to read throughout the month of December, my mom suggested a book-centric way to count down Christmas. Beginning December 1st through the 25th, we’ll open and read one Christmas book a night. It’s our Christmas countdown, with books. Truth be told, we’re also still doing classic Advent calendar. I considered slicing out the chocolate – we’re still swimming in Halloween candy. But, who am I kidding? It would have been met with so much resistance. ‘Tis the season for a daily chocolate fix, right? Our collection started with Veronica’s first Christmas and has grown by three and four books a year. I’m a teacher, as is my mother-in-law, so we’ve got ins at Scholastic Book Club. Plus, the Man in Red gifts each girl a book on Christmas morning. If you’re shy of 25, hit up your local library while you slowly grow your own collection. Even if you have enough, the library is a solid resource to try before you buy. 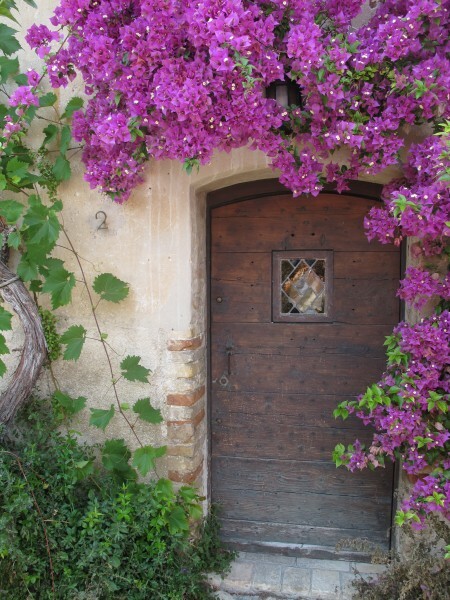 Pull your Christmas books off your bookshelf or out of your storage box. Wrap them individually and label them. Mark each package with a number 1 through 25. Place them in a basket or arrange them near the Christmas tree. Take turns opening a book labeled with the corresponding December day and read it together at bedtime. Toss a coin to see who gets first dibs or try this (add our method). Our look is rather hack this year. Without consulting crafty Pinterest, I grabbed some leftover wrapping paper, the packing tape dispenser, a black Sharpie, and a motley crew of Christmas tags. I let Stella run free to practice cutting straight lines and writing her numbers. After the girls went to bed, I typed in “Christmas book countdown” on Pinterest and ENVY! This family created a Christmas tree shape and this one made Frosty. This one is straight-up gorgeous. If I can get my act together, I’ll beef up the look next year. If not, it’s the tradition that counts and the girls will remember more the reading and less the look. One caveat: This is not a green project. In fact, this conversation happened the morning after we wrapped the books. V: Mom, aren’t we wasting paper? Me (busted): Ahhhh, yeah, we are. 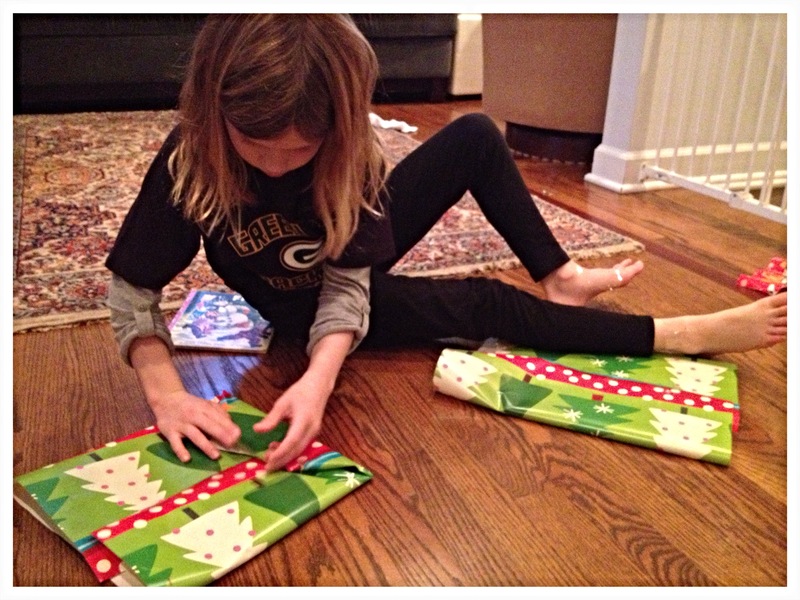 (I lacked a logical this-is-why-we-do-it -response, so I suggested): We could re-use the paper for other gifts. 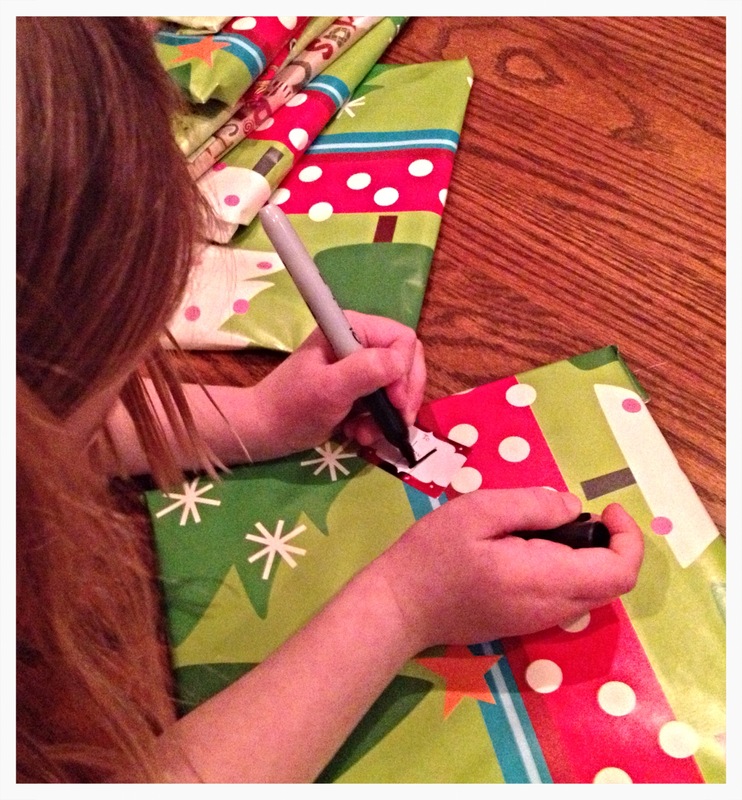 Stella did wrap two books with the wrapping paper tube and marked up designs with her Crayolas. St. Nick is leaving The Christmas Wish for the girls (he comes tomorrow night!). Santa is putting Merry Christmas Strega Nona and Santa Claus the World’s Number One Toy Expert under the tree this year. What are your Christmas book recs? I found this list and plan to cross check it with ours – once they are all unwrapped. What are your families’ cherished reads? Drop me a comment purty please. I’m always on the hunt for new titles. I hope you are having a happy and healthy start to the Holiday Season. P.S. Here’s another spin on the countdown. Perhaps if we bore of the books as a stand-alone countdown, we can include other holiday-themed ideas – ice skating at Millennium Park and watching How the Grinch Stole Christmas would make my list. Your mother is a wise woman! Great idea!